The main trend is still bearish. The price faced a support at 1.0571, so we’ve got a “Double Bottom” pattern. Meanwhile, bears are likely going to test the nearest support at 1.0629 – 1.0617 in the short term. If a pullback from this area happens, there’ll be an opportunity to have an upward price movement towards a resistance at 1.0678 – 1.0701. 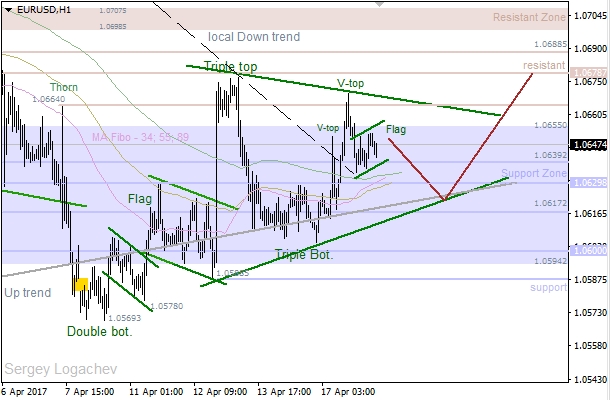 The price is still moving up and down in a range of the developing “Triangle” pattern. So, the market is likely going to test the nearest support at 1.0629 – 1.0617 during the day. 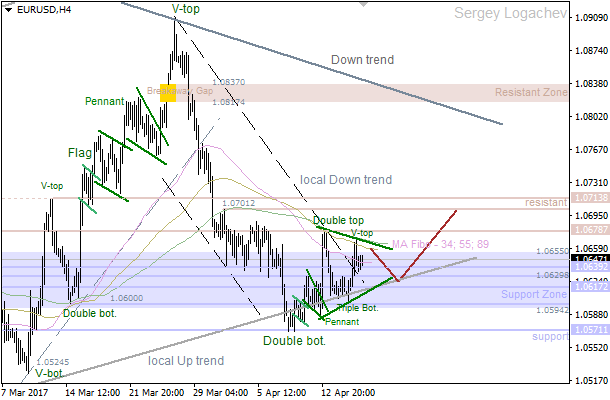 If we see a pullback from this area, bulls will probably try to reach the closest resistance at 1.0664 – 1.0678.